I am thrilled to have Sara Vartanian, founder of Green Moms Collective, sharing a guest post with us today! Here are 4 steps to clean up your beauty routine. I stopped wearing makeup in the first trimester of my first pregnancy. One minute I was sponging foundation onto my face before work, and the next I was dry heaving into the toilet. I tried again a few mornings in a row until I stopped wearing makeup because the makeup smell made me extra nauseated. In hindsight, I like to think it was my body warning me about the toxins I was using since I had yet to swap to green beauty products. Canadians use between 10-15 personal care products each day, many of them loaded with toxic chemicals that can harm our health. There are ten toxic chemicals in particular that are the “baddies” (check out a list here). Our skin absorbs the creams, deodorants, and oils we use. Once they enter our body, the ingredients can harm our health in a variety of ways including disrupting our hormones, impacting our respiratory system, playing havoc with our reproductive system, and the introduction or aggravation of cancer through carcinogenic chemicals. In 2013, Environmental Defence Canada released a report called Pre-Polluted. They tested the umbilical cord blood samples of 8 Canadian newborn babies and what they found was disturbing: a total of 137 chemicals that represent common North American toxic pollutants that are linked to human health issues. Fetuses grow rapidly and they lack the systems to flush out toxins, leaving their bodies’ hormone system more sensitive to toxic exposure. You can see why cleaning up your personal care products is a step towards healthier living, especially while pregnant! Not only do the ingredients absorb into our skin, our developing babies may also absorb them! Regardless of where you are on your parenting journey, making the switch to natural beauty products is a step towards a healthier you. So, what can you do with this knowledge? Should you just give up your conventional make-up cold turkey? 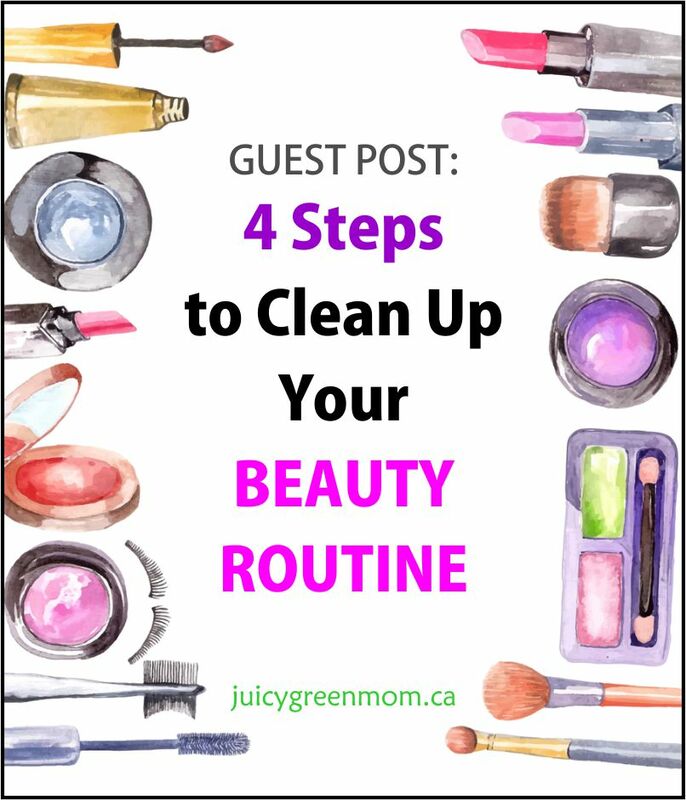 Here are 4 steps you can use to clean up your beauty routine. Step One: Determine which products you use most often and prioritize cleaning these up. Start with the items you use every single day like your moisturizer, deodorant, and foundation rather than the lipstick you wear for your monthly date night (you can replace that later). Step Two: Gather those daily products together and determine how they actually rate. Are they full of toxic ingredients or are they fine to continue using? I enjoy using the ThinkDirty app to scan products because it often has recommendations for better alternatives. Any item that comes up a 3 or below is reasonable to keep. An item that rates between 4-6, I’d think about replacing when it runs out. Items rated between 7-10, I’d take the precaution to stop using, and find a replacement. If you can’t find your item on ThinkDirty, the EWG Healthy Living app is another great option. Step Three: Now that you know your beauty baddies, it’s time to research replacements. But how can you tell where it’s safe to shop? I recommend searching for the terms #greenbeauty and #naturalbeauty. Not only will these terms tell google which shops to show you, on Instagram you’ll find a whole community sharing the best in green beauty. Be careful to do your research to make sure the item is actually green/organic/natural before purchasing. These terms aren’t regulated. Step Four: Replacing all your beauty products at once likely isn’t financially feasible. After all, you acquired your current items over time. Begin by replacing an item or two at a time. It may take awhile to find your new favourite brands but at least your beauty will be better for you. For a more in-depth look at detoxing your personal care products, this green beauty guide can help. What will you do to start cleaning up your beauty routine? Sara Vartanian is a mom of two boys, who recently took a leave from her elementary teaching job to move from the city to live lakeside amongst the trees. She is the founder of Green Moms Collective, a Canadian website dedicated to helping mothers live a green and mindful lifestyle. 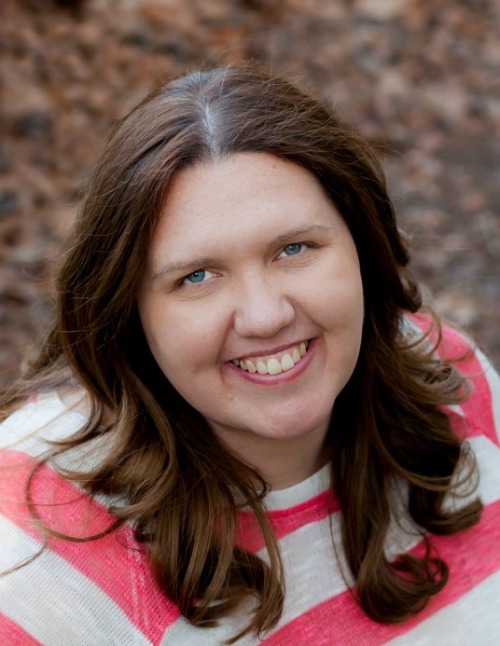 Sara works with wellness and education businesses to manage their social media and outreach programs. If she’s not on Instagram sharing all things green mom, she can be found wiping green smoothies off her children’s faces or shopping at a farmer’s market.